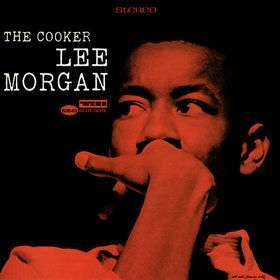 ‘The Cooker’ was Lee Morgan’s fifth album for Blue Note in under a year! The date of the session was September 29th 1957. Lee Morgan used to be the featured second trumpet with Dizzy Gillespie on ‘A Night In Tunisia’ and Morgan’s version on ‘The Cooker’ is one of the best interpretations. Morgan shares solo duties with Pepper Adams and Bobby Timmons. Paul Chambers and Philly Joe Jones (love the tone on his drums) are magnificent behind the solos. ‘Heavy Dipper’ has a mystical feel until Lee Morgan’s brash solo leads into a blistering Bop workout. In contrast ‘New-Ma’ is a slow blues of some delicacy. ‘The Cooker’, whilst work in progress for Lee, was a major stepping stone towards his classic sixties albums.